Great stuff 🙂 Ill def be using one of those in one of my upcoming maps. Yep, awesome stuff. I would also like to use them in my CTF-1on1 but I don’t know how to setup that kind of decals to be honest ?! It’s not like the regular decal you only use a simple texture ! Yea I see what you mean now. Those decals are tight in one image. Salut steve. Pour la planche tu utilise toshop par exemple, tu active les grilles (config a 256 ou 128). Du coup tu aura un snap qui correspondra a chaque décals. Copier/Coller sur une nouvelle image toshop (1024/1024 ou 512/512 …) et save en targa comme d’ab. ce sont des planches en 2048/2048 donc tu ne perdra pas en qualité. Voila ^^ (une façon de faire). Don’t ask him bro, he already mentioned he don’t want to bother with that kind of question & to look on the Net for tuts. ah pardon … je dit “toshop” 🙂 Pour Adobe Photoshop … ou tu peux utiliser un autre logiciel de “dessin 2d/2.5d”. 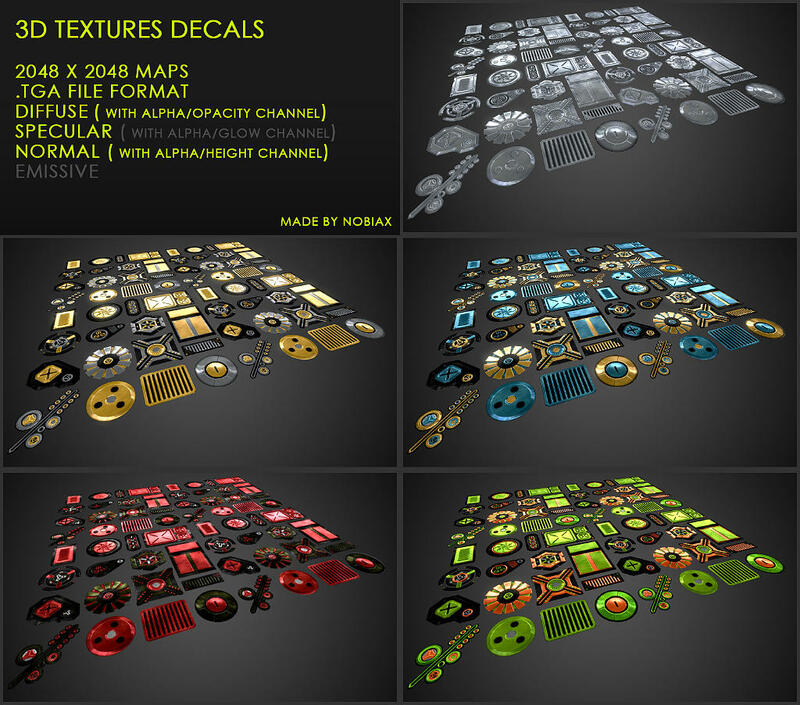 – Mix both of them together with an “Add” function and connect it to the “UVs” of the textures samples. This is working for all square decals, the rectangular will require a slightly more advanced material.